Coming from a first time buyer who’s leased the past 15 years I could not have asked for a bettter group of people to help me through this process. From the time I walked in until the time I walked out, I couldn’t have asked for a better experience than what I recieved at Flemington Volkswagen Porsche Audi. Debbie, Peter, Steve and Jon are all experienced, knowledgeable and detailed oriented. They are responsible for my great experience. Mark Zinych, Dave Alesso, Tony Izzy and Dave Hoffman, saw I wasn’t feeling well and treated me like a king. The signing of the paperwork and car walk through were done thoroughly and a quick as possible. The whole process took about 35 minutes. My second car lease is done this summer and I will be moving to PA. I will gladly drive the 100 miles to deal with these gentlemen again. Thanks  guys. 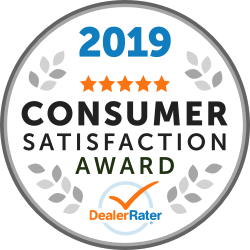 We have been with the Flemington BMW Dealership for over a decade and have always been completely satisfied with their professional service in the sales and service area. Recently, I leased a new BMW vehicle and again had a great experience with their sales team. I wanted to single out Tom Terrill, who was our advisor. We also appreciate the help of the whole team – Ed Kiley, Jan Blakely and Greg Eckert. Thanks you all!